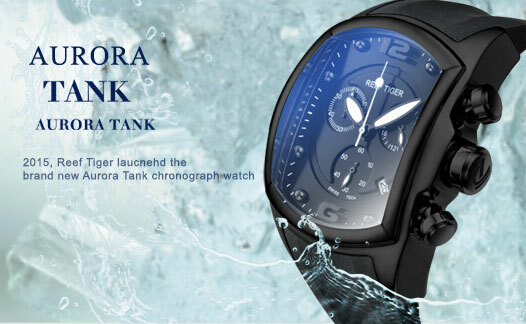 2015, Reef Tiger laucnehd the brand new Aurora Tank chronograph watch, its streamlined design, zero-error Swiss chronograph movement, making it become the first choice of social elite who love sports. 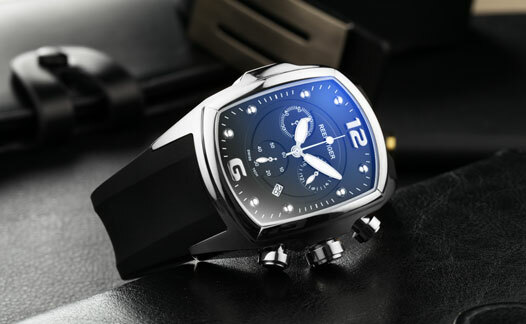 Tank watch is famous for its unique tank shape design, rectangular case features arched glass, which is sporty but also elegant. 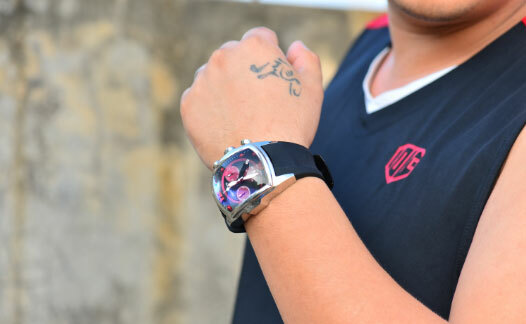 Compard with the tough square case, the designer uses three-dimentional metal ball hour markers, these design all reflect the life attitude that Reef Tiger always upholds, that is taking seriously the challenges and opportunities but still meek in inner heart. To give a variety of different options to the wearer, Tank watch has white steel, rose gold and black steel case options, which could be matched with white, blue and red three dial colors, nine kinds of choices, there must be favorite one for you. Tank watch adopts large superlumed hand design, so that the wearer can clearly read the time even under harsh conditions outdoor. 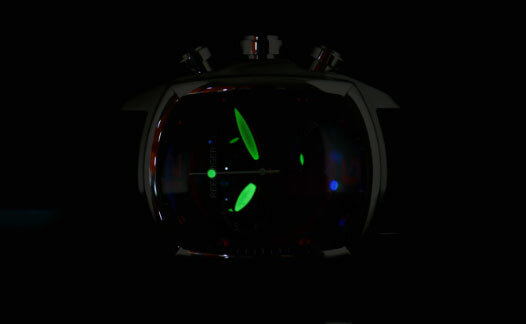 The hands adopt non-radioactive Super-LumiNova Swiss luminous material, which is more expensive than the gold, this ensures the brightness and durability of lume, and allowing you to read time clearly in the dark.